Words that we have heard many times when talking about those that have passed away. But do we ever stop to think about the loved ones left behind? A couple years ago New Image had the opportunity to provide a seat for a really unique project, the Fallen Heroes Busa. 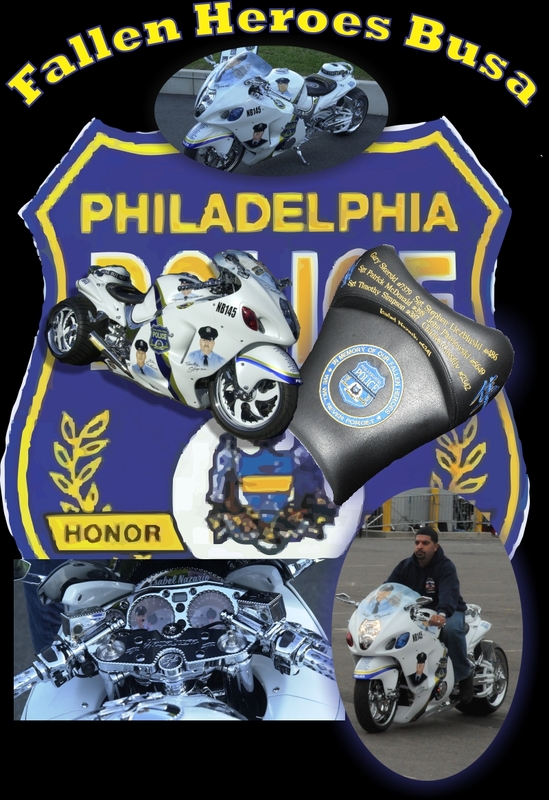 This bike was built to honor officers of the Philadelphia Police force that died in the line of duty. As you can see in the pictures this is an amazing bike and helps to raise awareness for the families left behind, and helps to remind all of us not to forget those who have given their lives to keep ours safe!